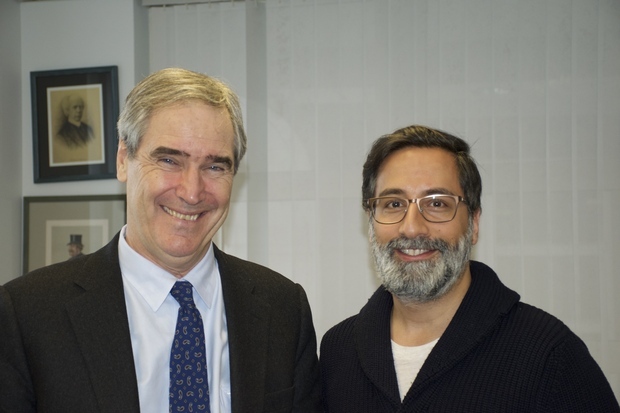 Being a Canadian politician of Russian descent Harvard’s Michael Ignatieff talks bluntly with Alexander Goerlach about the role the United States of America should play in the European refugee crisis. Görlach: Mr. Ignatieff, perhaps it would be best if we started with a broad overview, your current perspective of what’s going on in Europe, to kick this interview off? Ignatieff: Well, what you have the dissolution of state order in the Middle East, and Europe has to bare the consequences of that dissolution, even though Europe is not really responsible for its causes. Görlach: What are the causes? Ignatieff: Autocracy and despotism, which have lost their legitimacy in the Middle East since the Arab Spring and well before, stagnating societies that haven’t met the expectations of their young populations. A decade ago it was reported that these societies were simply missing the 21st century entirely, that they eventually were bound to blow, and they did. Then there was the chaotic arrogance and failure of the American intervention policy in Iraq and the failed interventions in Libya. So Europe looks at an arc that ranges from the monarchy in Morocco, the Gerontocracy in Algeria, then at the long coastline of Libya, which is essentially ungoverned, until you hit the despotic order in Egypt, and then at the violence between Israelis and Palestinians. Görlach: Then the arc sweeps northeast? Ignatieff: Correct. You’ve got Jordan, with a quarter of its population now refugees, Lebanon, unbelievably hanging together, the violent conflict in Syria, and the semi-state collapse in Iraq. Görlach: So what do the consequences entail? Ignatieff: The consequences are an open Mediterranean border you can’t police, surges of migration north, and a European construction of a borderless continent that may not survive until Easter. To complete the big strategic picture, you have the United States, which has been the guarantor of European security since 1945, watching this car crash like a bystander. So that’s the big picture, and I’m not alarmist because I always believe in political leadership and that solutions can be found. But right now the situation’s pretty apocalyptic. Görlach: And to finish the arc, from the German perspective, you have Turkey and Russia. Ignatieff: Yes, I could keep going, and I probably should, because it affects the refugee flow. The arc includes Afghanistan and Pakistan, from which you’re also getting very substantial refugee flows, because again that’s a place where western intervention has not produced stability but rather instability. So you have three cases: Syria, Iraq, Afghanistan, and Libya where western intervention have in fact made the problem worse. And then, to complete the arc, you’ve got from Ukraine to the Baltic the first essential challenge by the Russians since the post-1989 settlement, a Europe that has never had the military capacity to defend itself, one is ever more dependent on America to provide that strategic guarantee, and, finally, an America that has essentially a broken political system on the one hand, and is pivoting to face the Chinese threat on the other. Therefore, the United States doesn’t see the stuff we’re talking about as an urgent national security priority. So the whole picture is… kind of a new picture. It’s not the same old story at any rate. Görlach: Does this mean that the world order we’ve known since 1990 is about to crumble? What episode in world history could you compare the current situation to? 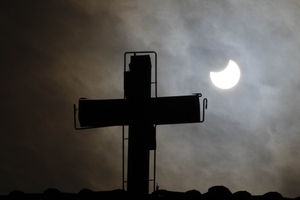 Ignatieff: Well, I hesitate there, because you could choose apocalyptic parallels, you could choose 1914, you could choose 1945, or you could choose the religious wars in 17th century Europe. No, I think the right thing to do is to define what is particular about the here and now and not work too hard to find an historical parallel. I think what everybody is noticing is that this is crisis-upon-crisis-upon-crisis: a strategic challenge with the Russians, a refugee crisis that is both a humanitarian challenge and also a challenge to the European architecture, an economic crisis with north-south strains within Europe. The many tiers to this crisis make it so hard to deal with. In human life we solve problems never at once, but by disaggregating, by putting one thing in one pile, another thing in another pile, the “first we do this, then this” approach. And that’s obviously what Chancellor Merkel wants to do, but it’s very difficult to disaggregate here because the problems are past-dependent. Görlach: Can you give some examples? Ignatieff: Certainly. Example: you can’t talk to Greece about the borders because the conversations about the euro crisis have been so difficult. Everything there has been envenomed by the previous situation. It’s very difficult to talk to the British about solidarity, because they’ve got “Brexit” issues on their mind, and so on. It’s the ways in which these crises are conditioning and limiting solutions that makes this situation unprecedented. The piece of it that I’m concerned about is that I’m sitting here in the United States. I’m a Canadian who is very old-fashioned about these things. I don’t think that we would get the Europe that we have had without the continuous attention of the United States. Görlach: What do you mean by “continuous attention”? Ignatieff: I essentially mean a security guarantee, the Marshall Plan, Holbrooke ending the war in Bosnia. 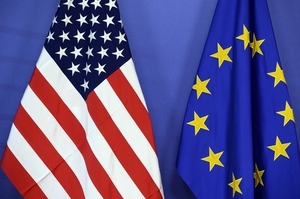 Time and time again, when Europe couldn’t solve certain problems, the United States reluctantly came in and provided basic strategic guarantees and political attention, which at this moment seems not to be present. You’re in the incredible situation where your country has taken in 1.2 million refugees in one year, while the United States has taken in 3000 since 2011. Görlach: That definitely gives one a sense of scale, doesn’t it? Ignatieff: You ask any American policy maker, and they’ll tell you that basically the whole refugee crisis is a European problem. The whole Schengen problem is a European problem. The part of it they think is their problem is the security of the Baltic States, Ukraine, and the Crimean peninsula. But even there they think it’s mostly a European issue! Görlach: And what do the Americans think about Turkey? Görlach: What should that deal look like? Ignatieff: The deal has to be a refugee deal. It has to be a security deal. It has to be a visa deal that gets the Turks into Europe. It’s got to be a development deal. America is the only player with the lift to put a grand bargain together between Turkey and Europe, and it is just standing there as a bystander. Görlach: You don’t think a deal can be reached without the Americans? Ignatieff: It seems that way. But I don’t want my interview to contribute to the panic, “let’s-set-our-hairs-on-fire!” I think these are problems that can be solved, but I think we need to understand how big they are first. Görlach: Well in terms of solutions, you alluded to the pre-1990 world where America had a very big stake in Europe. Should such a stance be revived? Ignatieff: Yes, and not just through NATO, but with an engagement to sustaining the European project. Europe also has to take its responsibilities, too. But on the specific issue of how to get the Turks to help deal with the problem, the United States has already been pulling out its deployments in the Mediterranean. Europe can’t even patrol its damn borders, and so NATO is going to have to put its own assets in the Mediterranean: Canadian ships, American ships, and others too obviously. That’s an example of the ways in which the United States is playing the part of a bystander, unwillingly being dragged into the center of a conflict it would like to stay out of. Görlach: What ought they do instead? 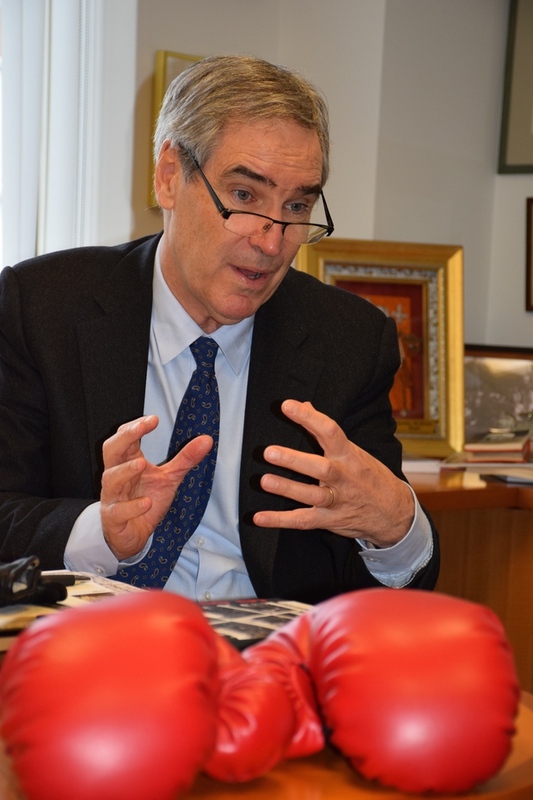 Ignatieff: The United States ought to be involved in a strategic play! And the strategic play has to involve: number one, stop the dying in Syria, and only the Americans can do that. Second, they need to make a grand bargain with Turkey to get the southern frontier under control. Third, they need to galvanize some European-wide approach to maritime security, so we can stop this scandal. Görlach: What scandal do you mean specifically? Ignatieff: The scandal of people drowning! We’ve gone back to the banalization of horror, and in fifty years we’ll look back on it with astonishment. The fact that we sat there for the whole of 2014 and 2015, in the most civilized and advanced society the world has ever known, to watch children drown. It is fixable! It makes me furious. What the hell are these bloody European militaries think they’re doing? And then when you have European politicians saying, "Well the reason we can’t do xyz is because it will give others more of an incentive to migrate.” So, Europe’s deterrence policy is to let children drown? I mean c’mon. I’m angry with the Americans for being bystanders, but I’m also angry with the Europeans for this constant, odious braying about European civilizational values. The thing that Europe has done consistently since 1945, as it has lost its geostrategic power, is to say that is has gained "cultural and civilizational power.” Well, whatever the European values are supposed to be about, they don’t involve letting helpless children die in the waters in front of your borders. And it’s that nauseating combination of a quarreling incapacity to fix things, and the high-minded moral vocabulary being used, that has got to stop! Görlach: Recently there was an article in a German newspaper, claiming that one of the United States’ biggest contributions to post-war Europe was its sense of constitutionalism. There’s a constitution that must be adhered to, and I think that holds true to a very large extent also in Germany, where all the (reasonable) political parties argue that immigrants have to respect our constitution. I think that’s very American of us. Ignatieff: The constitutional point is very important, because you can’t have integration and assimilation unless there is a constitutional bargain. We say yes to you, and you say yes to us. And the “yes” that you’re saying is a yes the constitution. The “yes”¬–which Germany has every right to insist upon–is that if you come to Germany, you sign on to the constitutional order of the society. That means the equality of men and women. Equality before the law. Due process. Non-violence. All that good stuff. The idea that Cologne was an encounter between an alien Muslim culture and Germany is false. What Cologne was, was a breakdown of law and order. The contract is very clear. People who break the law should be punished. People who do not respect women in public or in private should be punished. The deal of constitutional liberalism is perfectly clear. Görlach: On the other hand, I’ve been speaking to Noam Chomsky, and he thinks that because European societies have been very homogeneous over the centuries, they are more racist than many others. Ignatieff: I respectfully disagree with Noam Chomsky. He of all people should know that European societies were quite multicultural until Stalin and Hitler “went to work”. Eastern Europe was the original multicultural society, if nothing else because of its large Jewish populations. So this mono-ethnicity problem is the creation of genocide. That’s fact number one. Fact number two: all you have to do is go to a Mosque in Sarajevo to understand that Islam has been part of Europe since the 15th century. Number three: look at Britain since the 1950s. It has become a multi-cultural society as fast and as successfully as anywhere else on earth. Just walk around London. Go to Hamburg. Go to Berlin. The idea that we have a multicultural North America and a mono-cultural Europe is a stereotype that does us no good at all, and actually plays into arguments of Europe’s right wing groups. It’s just false. Görlach: That’s a great point. Ignatieff: My course assistant at the Kennedy School is a German who is Turkish. She’s German alllll the way down. She happens to be ethnically Turkish, but there is not a more German person. Your society has actually done a fabulous job in slowly transforming from what it was in 1945 to what it is today. Let’s just lay those stereotypes aside, because they only serve the forces of division. Görlach: What more can the German Chancellor do? Ignatieff: First, she must make the refugees aware of the constitutional order of Germany, that “yes” they must give before entering. Once that happens, integration can work. The second thing: politically, no liberal society can work without control of its borders. You can’t run a society and maintain cohesion and political order without control of your borders. Chancellor Merkel’s future is not long unless she can say to the German people, not “wir schaffen das,” but rather "we have this under control, we know who is coming in, our border police know what is happening, and the integration process is proceeding.” As long as it is not in order, the right wing forces will gain ground. Görlach: Is creating this order possible? Ignatieff: There are lots of people walking around Europe with plenty of good ideas. One of those ideas might be to say, “Germany will take 250,000 people a year as long as this crisis goes on. But we will only take them from Turkey, or Jordan, or Lebanon. And we will repatriate them directly to Frankfurt or Munich or whereever, and we will do so on an orderly basis, and we will do the pre-security screening in those countries, and if you don’t make the screening then you don’t come in. 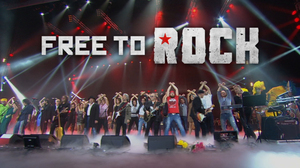 But if you do, then we will take you in.” That will require cooperation with Turkey. That would be the most effective thing I can think of to end this obscenity of death in the Aegean Sea. Germans I think are willing to do the right thing here. But there’s a limit for any society. So what is infuriating about this situation is not that there aren’t solutions–there are solutions—but that there is no European-wide solution. Görlach: And why is that? Görlach: And what will that do? Ignatieff: That will give you some way to reconcile the constitutional obligations that Germany has, the “dignity” commitments it made in its ‘48 constitution, and at the same time it will send a clear signal to the German society that we have to get this under control. I was in a Bavarian resettlement camp in October. Nice Bavarian women, who–and I can’t praise them highly enough–were processing 1500 people a day, and doing a fantastic job! Germany should be incredibly proud of these women. But they were saying to me, " I don’t know how long we can do this." And it wasn’t a matter of principle. Politicians have to acknowledge and listen to these wonderful Bavarian women, who are, in my view, the real heroes of the story. Görlach: What happens if we don’t get this under control? Ignatieff: One of the key moments in this crisis was the closing of the Swedish-Danish bridge. Everybody suddenly woke up and thought, “We just got rid of Schengen.” And the knock-on effects of losing Schengen, plus the moral impact of the reinstitution of border controls, will be catastrophic for particularly your generation, which grew up thinking, “I’m a citizen of Europe.” Well, not anymore. That’s why it’s so urgent to get this fixed now, and it can be. You can have Schengen provided you have external control of the borders, and you can have Schengen if you put limits on the number of people you repatriate. You can have Schengen and a European project if you say “we’ll take 250,000 from Turkey,” and then you get it under control now! Görlach: Is there anything else? Ignatieff: Yes, the final element of a decent policy is repatriation. One of the dilemmas in the German situation is you’re taking in huge numbers of people, and about 50% of the time they are not meeting the standards of admission. And yet these people are not being sent home. You’ve got to start putting people on planes and sending them back to Kosovo, to Nigeria, to where ever. The quid pro quo of this policy, of a generous policy–¬¬¬and 250,000 people a year is a generous policy–is we have to send people home. That’s tough for Germany. It’s tough for any country. But you put all of this together and you’ve got a policy that will allow the European Project to survive. If you don’t get this together pretty quickly, it’s going to be too late. Görlach: But how can you morally justify putting Syrians on a plane home while Russia is bombing the whole country into pieces? We in Europe don’t know what to do about the Russians. Being of Russian descent yourself, maybe you can offer some insight into how Europe can be more up front about this aspect of the crisis? Ignatieff: I began by saying that Europe can’t deal with the causes of the refugee flow; it can only suffer the consequences. And the causes of the refugee flow now are the Syrian and Russian encirclement of Aleppo, which is directly causing a flow of people west as we speak. The only thing that can stop this is, again, the United States. Görlach: What can the United States do about the Russian offensive? Ignatieff: They can say to the Russians, calmly, quietly, without any desire to escalate, “You can’t do this. You can’t encircle a city. You can’t cut it off from humanitarian resupply. And you can’t starve it. You can’t lob shells indiscriminately, while there are 300,000 people in there. And if you continue to do it, we’ll shoot down one of your planes.” This is risky and difficult, because nobody wants it to escalate into a confrontation. I certainly don’t. We’re in hourly contact with the Russians already, over the aircrafts that are already in the airspace. Lavrov and Kerry are in hourly conversation about everything else. I don’t see why you can’t say to the Russians, “We have one mission here and it is not a regime change. It is not seeking military confrontation with you. It is to ensure the humanitarian resupply of Aleppo and the prevention of further civilian harm. That is why we are putting aircrafts into the sky, and you have to understand that this is a military gesture on our part to prevent you from winning the war on your terms.” Once you do that, I don’t believe the Russians have any desire to go down that road either. Then you would have created the preconditions to go back to Vienna or Geneva or where ever and negotiate a longer-lasting ceasefire. But my view is you can’t get a ceasefire that will last unless the Americans put on the table the only language the Russians understand: the language of military force. And they are the only ones that can do it. There are risks, and I’m aware of them, and the last thing I want is this situation to escalate out of control. But the alternative is that Russia and Assad will encircle, starve, and crush Aleppo, and win their war. The refugee flow that will follow will be on another level. And geo-strategically speaking, the idea of an Assad-Hezbollah-Iran-Russian-Rumpstate in the center of the Middle East strikes me as not being in the national interest of anybody, except maybe them. Ignatieff: That is where we are. And that is why the European crisis has to include an American commitment, because the Germans can’t enforce a no-fly zone over Aleppo. There’s only one country that can. Did you like the conversation? Read one with Robert Kaplan: "It will be hard without the US as the organizing principle." He is a Canadian writer, teacher and former politician. He holds a doctorate in history from Harvard University and has held academic posts at Kings College, Cambridge, the University of Toronto and the University of British Columbia. He served in the Parliament of Canada and was Leader of the Liberal Party of Canada.